Step 2. Open Network and Sharing Center from Control Panel. Then choose Set up a new connection or network. Step 4. In the next window, choose Use my Internet Connection (VPN). Step 6. 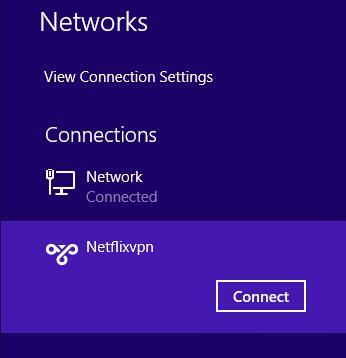 Then enter NetflixVPN VPN (PPTP) as the name of the connection in the Destination name box (you can name it as you want). Then click Create. Step 8. 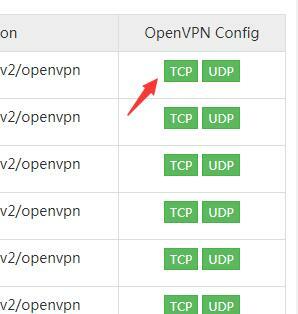 Right&ndash;click on the NetflixVPN VPN (PPTP) connection, and choose Properties from the menu. Step 9. Click on the setup name you created and click Connect. Step 10. Click again on the monitor icon on the bottom right-hand corner, find NetflixVPN VPN (PPTP) connection and click connect. Step 2. In the next window, choose: Connect to a workplace and click Next. Step 3. In the next window, choose Use my Internet Connection (VPN). Step 5. Then enter NetflixVPN VPN L2TP as the name of the connection in the Destination name box (you can name it as you want). Then click Create. Step 6. 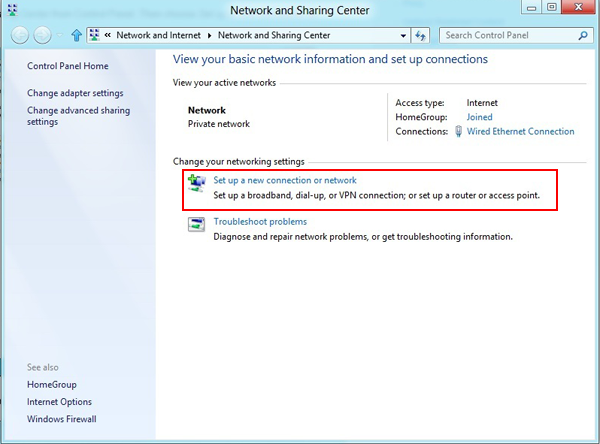 From Network and Sharing Center select Change adapter settings from the left page. Step 7. 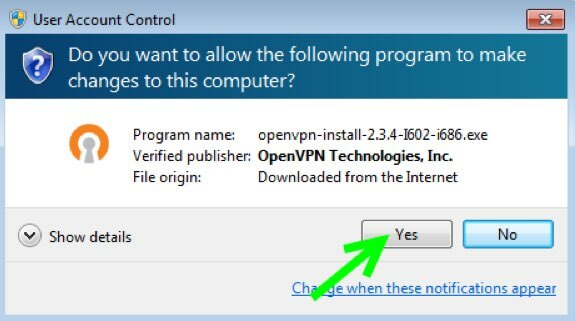 Under Security Tab for Type of VPN select "Layer 2 Tunneling Protocol with IPsec (L2TP/IPsec)" and check "Allow these protocols" then check "Microsoft CHAP Version 2 (MS-CHAP v2)and Challenge Handshake Authentication Protocol (CHAP). 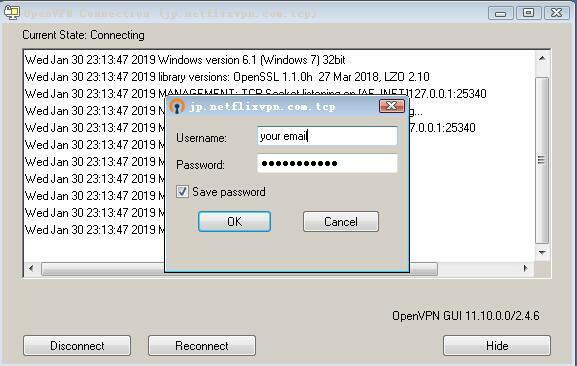 Also check Maxmimum strenght encryption encryption (disconnect if server declines) for Data encryption. Step 10. Almost done, Click again on the monitor icon on the bottom right-hand corner, find NetflixVPN (L2TP) connection and click connect. Type your VPN username and VPN password (both available in the "member area") and click OK. Step 11. 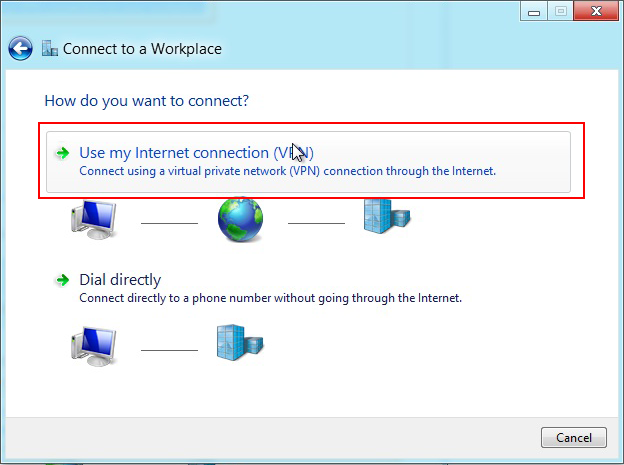 Done, your Windows 8 now should be connected to the VPN server via L2TP protocol. 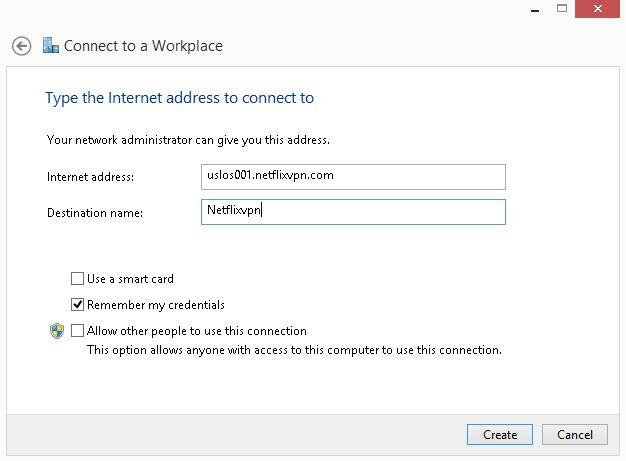 Configure the PPTP VPN connection on Windows 10 and start using NetflixVPN servers. Input your username and VPN password. Step 7. Check your IP , make sure you are connected. VPN Type: Layer 2 Tunneling Protocol (L2PT). Step 5. Click on Change adapter options. Step 6. Right click on the newly added VPN adapter and click on Properties. Step 7. Click on the Security tab. Step 9. Click on Advanced settings. Step 12. In Network and Internet select the L2PT adapter (previously created) and click on Connect. You are now Connected! Step 13. Check your IP , make sure you are connected. Step 5. Then enter NetflixVPN VPN SSTP as the name of the connection in the Destination name box (you can name it as you want). Then click Create. Step 7. Select Security from tabs. 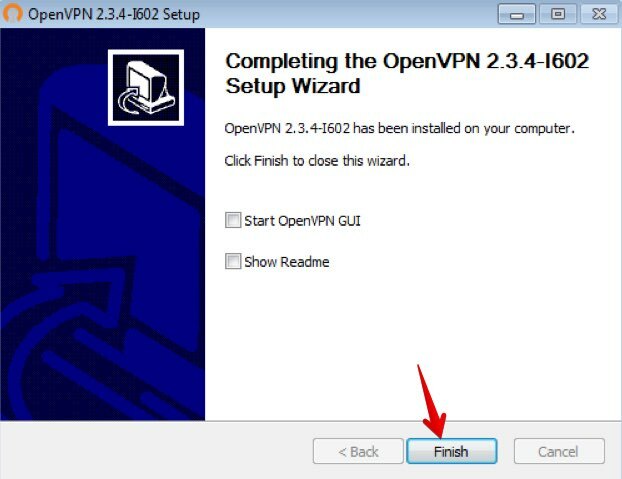 Change the Type of VPN to Secure Socket Tunneling Protocol (SSTP)/ Also make sure to have Microsoft CHAP Version 2 is selected. Step 8.Click on the Network Icon in your task bar right side, next to clock. Click on the setup name you created and click Connect. Step 10. Almost done, Click again on the monitor icon on the bottom right-hand corner, find NetflixVPN (SSTP) connection and click connect. Step 11. 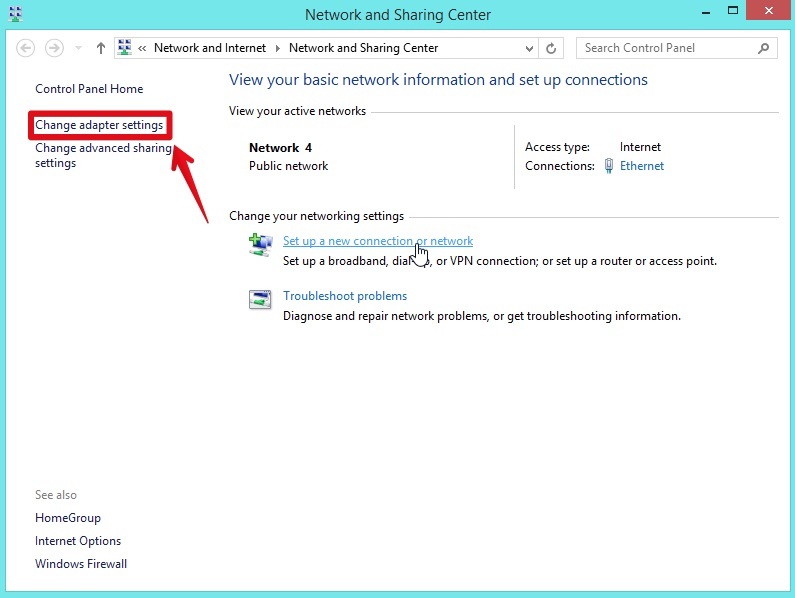 Done, your Windows 8 now should be connected to the VPN server via sstp protocol. Step 5. Then enter NetflixVPN VPN IKEV2 as the name of the connection in the Destination name box (you can name it as you want). Then click Create. Step 7. Switch to the tab Security, select Type of VPN IKEv2 and take over the settings from the screenshot. Then click on OK. Step 10. Almost done, Click again on the monitor icon on the bottom right-hand corner, find NetflixVPN (IKEV2) connection and click connect. Step 11. 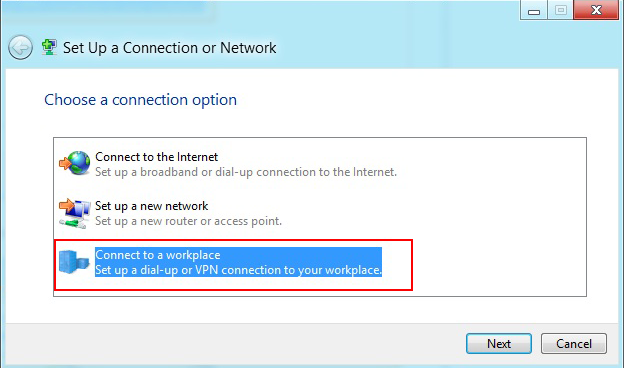 Done, your Windows 8 now should be connected to the VPN server via IKEV2 protocol.